Suppose your Computer is your regular working tool, main earning source or your companion for maximum hours of the day. Or it may be everything to you. You cannot imagine an hour without your computer. Imagine, if there have a problem in your precious machine, what will be your feelings? Of course, it might be panic for you. But more difficult issues can arise, to determine whether the computer is causing problems due to hardware or the software. Because most of the cases software and hardware related problems can be the same result, so determining the problem properly is very difficult. I’d like to share some tips that follow should help you to determine where the problem lies. Slowing down computer- a common problem of the most computer users. You may think that your computer is slower because of hardware problem when computer gets slower normal speed, it is always a software problem. Your computer may slow down if you install too much software than computers capacity and runs many programs at Startup (Programs that run automatically when computer boots). And your computer may slow affected with malware. Malicious software run unnecessarily in the background and destroy resources from the computer. Moreover, it may, hacker is using your computer as Botnet by installing Malicious Software. That means hacker is using your computer as his own way, as a result you are not getting any speed to work. Earlier I said, the computer may slow very little time for the hardware problem. However, if your computer CPU gets excessive hot, then the CPU will Downclock the speed itself to cool its system. And if then the computer becomes slow, it can be said as a hardware related problem. However, usually the computer does not slow down because of hardware. Todays’ Windows Operating System has improved a lot with improving computers. If I tell about Windows 10, the latest operating system is more reliable than previous Windows versions. Moreover today the process of making hardware has changed, as well as done high-quality programming for hardware drivers; so that hardware can run Operating System without any problem. So, the Blue Screen of Death is rarely seen on Windows anymore. Blue Screen of Death is an unexpected blue screen alert. When windows face any critical problem and cannot recover it and then usually the problem created. Computer is running but suddenly it hangs up and appears a blue screen where shows different error message at different time, then computer keep restart automatically. 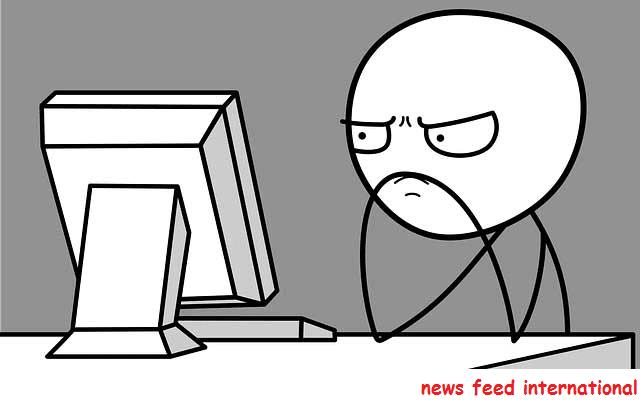 You should mind it that very often this problem will happen because of hardware problem. It may also occur for poorly programmed hardware drivers. When Blue Screen of Death will appear in front of you and shows the reason with error message, you can find out the reason searching the error message by Google. Further if the computer shows this problem continuously, then reinstall the whole windows and install latest hardware driver. Even after this if the problem is not solved, be sure that it is no other software problem, the problem arises from computer hardware. Hard Drive: Remember, when your computer hardware fails immediately there will occur a problem. Such as computer turns off and not want to turn on or if there is a DVD ROM problem, no DVD will support. But software problems can usually be noticed far enough. For example, your computer is slowly slowing down, restarting the computer more than once a day, etc. if hard drive fails in your computer, especially the files will be corrupted and take a lot of time to open any folder or file or access the hard drive. If the hard drive fails critically the computer will not boot because operating system exists physically in hard drive. Processor: if your computer processor or CPU fails - surely your computer will not boot. If there is a problem with the CPU. For example, CPU over heating problem, then computer works slowly because it reduces its performance to keep cool the CPU system. Generally, CPU generates overheat when it is overloaded. Such as – when heavy gaming, rendering video or 3D graphics then the CPU can be overheated, thus computer becomes slow. #RAM: if the RAM fails, the computer may display a blue screen of death repeatedly. By failing RAM it may fail to supply data to the processor properly. As a result computer system may abstain from work properly. Moreover frequent application crush, applications hang up, unable to run software properly – these problems may occur for the failure of RAM. #GPU: GPU or Graphics Card handles all the graphics in your computer. If there have any problem, your desktop may hang, games may hang, and video encoding may error. Also the graphics driver may crashed, desktop screen may become black. #Fan: if your computers’ fan stops working for any reason, the system will easily overheat and so the performance will be down. The above problems will be occurred if the CPU and GPU are overheated. Excessive overheating can destroy any hardware unit of the computer. Even your computer may become a Chicken Sandwich! #Motherboard: since your entire system is set on the motherboard, so if it fails there may occur a critical damage in your computer. 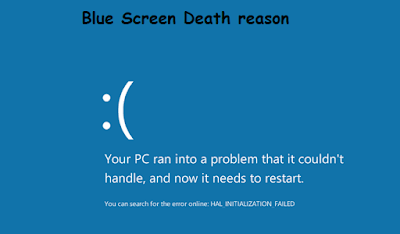 Firstly there may appear a Blue Screen of Death on your computer. Then the computer will automatically turn off / on / restarting problems and it may happen repeatedly. Besides, your computer may have burning smells, and any hardware may destroyed. If you see that all of your hardware is damaged one after another, then it may be the motherboard problem. #Power Supply: due to power supply failure your computer may become a Barbecue! The faulty power supply may supply over voltage in your computers’ hardware, as a result all parts of the computer will be burnt or damaged. From the above discussion, I hope you have gathered a fairly good idea about what kind of hardware and software problems may occur to your computer. 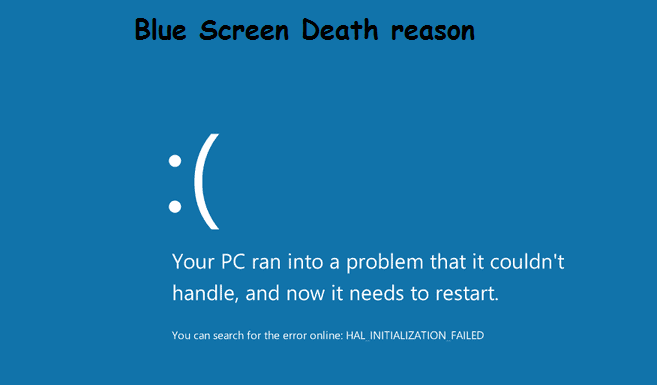 However, some problems may occur due to both hardware and software, such as the Blue Screen of Death. So how to understand where the problem is? First, backup your computer data, and reinstall Windows. After installing fresh Windows it is better to not install the previous hardware drivers. Download the new updated driver and install it in your system. Scan the malware in the computer and check if the computer has been infected with virus. 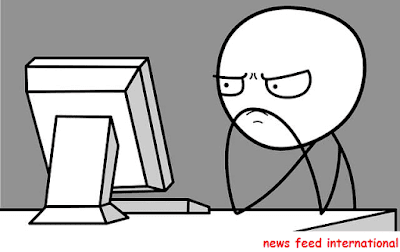 Now, see if the previous problems are happening again. if your computer becomes ok in this stage, then of course there was a software problem. But if there have still previous problems then there have no software problem. Of course, there is a hardware problem in your system. If you want to fix the problem, then you must replace the hardware or fix the computer. Hopefully, after reading this article, it will be very easy to diagnose what kind of problems have in your computer. Though it is not possible to discuss A to Z about the topics, but I think there was enough discussion to get a good idea. Even then, if you face such a computer problem that cannot be properly determined, then you can tell me in the comment box. I'll help you to diagnose your problem and solve the problem.